Invest in funds with low fees. That's the advice of superstar investors like Warren Buffett, and it's backed up by lots of research from data nerds. "A low-cost index fund is the most sensible equity investment for the great majority of investors," Buffett says in "The Little Book of Common Sense Investing." If you aren't convinced by the world's most famous investor, look at the data. Research firm Morningstar tracks and rates thousands of investment funds. It's akin to Yelp of the money world. Here's what Morningstar found after years of research: low fees are "the most proven predictor of future fund returns." In other words, the cheaper the costs, the better the fund is likely to perform and the more money you're likely to make. Russel Kinnel of Morningstar says fees shouldn't be an investor's only consideration, but it's a really smart way to narrow down your list of options. Step 1: Look for funds that are cheaper than the norm. Here are the average "expense ratios" (aka fees) for U.S. stock and bond funds, according to Morningstar. That's a lot of jargon. An "ETF" stands for exchange-traded fund. ETFs are almost always the cheapest option (think of them like the Walmart or Target brand) because they simply replicate a well-known basket of stocks, for instance the S&P 500 index. Basically, a computer is managing your money. In contrast, an "actively managed fund" has actual humans selecting stocks or bonds for you. The costs are higher because you are paying someone to beat the market. Step 2: Are the cheapest funds available to you? If you are a bargain hunter, you're probably wondering what are the cheapest U.S. stock and bond funds than you can invest in. 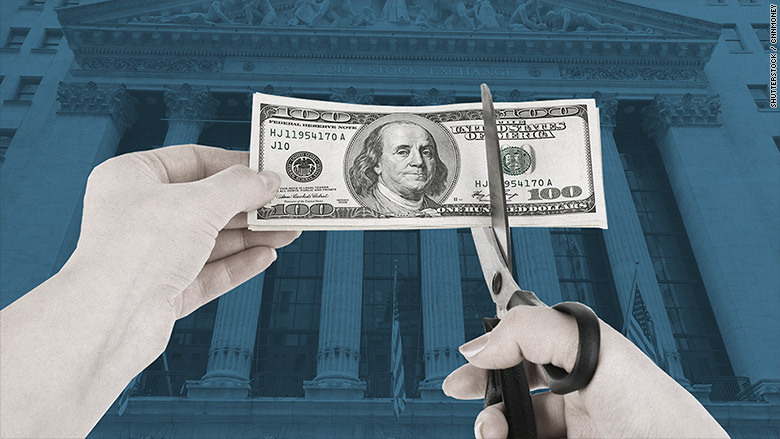 CNNMoney and Morningstar did the research on the ETFs with the lowest fees. These funds attempt to replicate the performance of an index like the S&P 500, so there isn't much difference between their returns. Many of these funds are offered by well known companies like Schwab (SCHW), Vanguard and BlackRock (BLK) so it's easy to put your money into these ETFs. The funds listed here are open to "average Joe" investors (you only need about $50 to $100 to buy many of these ETFs). All of these funds have at least a 3-star rating (out of 5) from Morningstar, meaning they rank in the top two-thirds of funds based on performance and risk. Click on the "ticker" to learn more about the fund. The bottom line is: if someone offers you a U.S. stock or bond fund that costs much more than about 0.4%, you should ask why. There are occasional reasons to pay more (such as for a really good fund manager who has a track record of beating the S&P 500), but someone should explain to you why you are paying a premium.